We make no secret at Jag Forms about our desire to “give back” — especially when it comes to our nonprofit clients. (We love our for-profit clients, too!) When we see organizations like The Salvation Army, SMART, Community Warehouse, etc. and the work that they do, we can’t help but want to see them succeed. 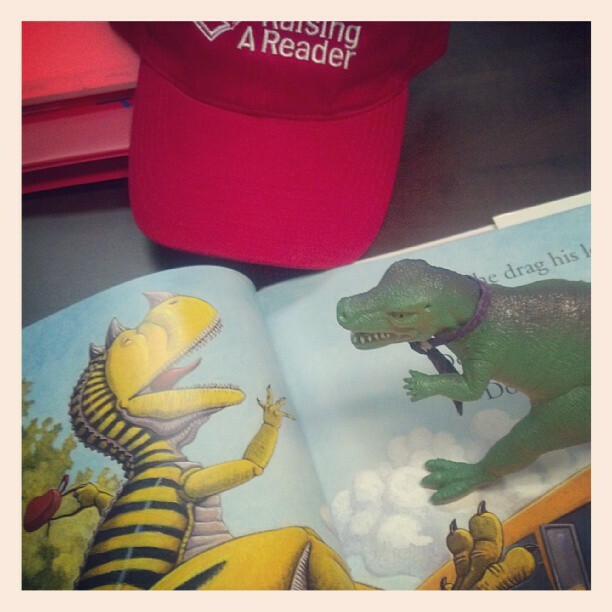 T-Jag paid a visit to one of our nonprofit clients, Raising A Reader, back in October. One of the ways we “add more value” to your business is in our dedication to giving back. We always do whatever we can to help ALL of our clients out, and we feel especially strongly about this when it comes to our nonprofit clients. This past November, we shared our own “Jag Forms Give Guide” — offering a look at all of the nonprofit organizations we do business with, and what they do for the community. The idea was to encourage donations and volunteerism, in particular tied to the holiday season. But we try and spread the word about these organizations year-round. It’s something Jeff and I both feel strongly about — and something we will continue to be a strong focal point for our business moving forward.